You’ve called Kansas City home for years, and plan to call it home for many more. You’ve worked in the city, raised a family here, and plan to retire in Kansas City when you’re ready. But as you look towards the future, perhaps you see some areas for concern and have some trepidation about your current retirement income planning. Is your nest-egg going to be able to sustain you throughout your retirement? Will you have to worry about running out of money mid-retirement, when you can least afford to? Here at Income for Life, we help you to plan for your retirement so that when you retire, you can stay retired and know that your money won’t run out on you. All we do at Income for Life is help individuals just like you plan for retirement, so we’re both experienced and knowledgeable in all the different aspects of retirement income planning. From annuities to Medicare supplements, we’re able to help you successfully navigate all of your options in order to have confidence in your retirement plan as you inch closer to retirement. Enjoy your retirement years by entering them prepared. Contact Income for Life today to discuss your unique financial situation. Matt Nelson and his team at Income For Life have worked hard to earn the trust of his clients. For your retirement income planning needs, you deserve the best! 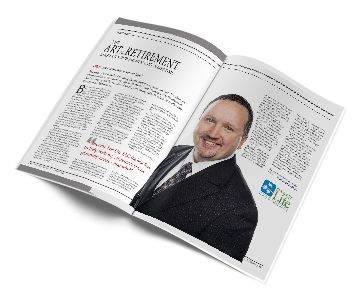 From long-standing clients to industry leading retirement income providers, Matt Nelson and his team are the trusted retirement planners to turn to.